Felt Corsage “Passionata”. 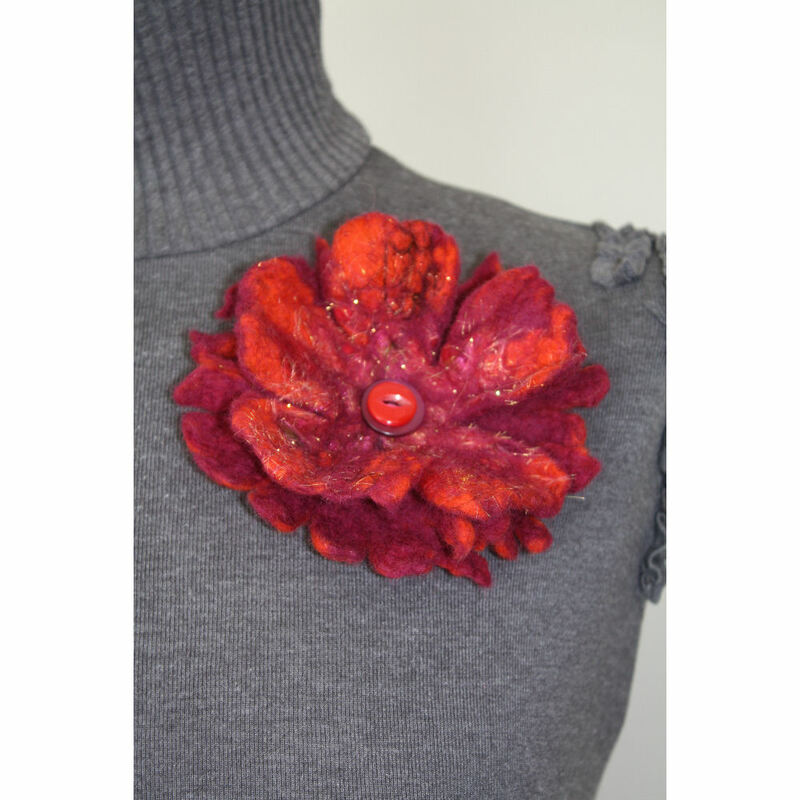 Hand made, one off felt flower corsage in cinnamon and mulberry. Sparkling with angelina fibres and decorated with purple and two-tone orange buttons. A stunning addition to your Autumnal wardrobe. The corsage has a metal brooch clasp sewn onto the reverse, allowing it to be secured to any item. It looks wonderful on a jacket or coat but as our photo shows it transforms a simple black hat. Approximate size 12cm across. Product code- FC ND AG 092011.